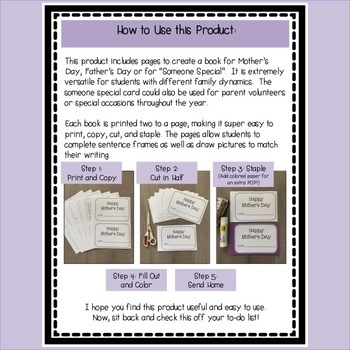 This product includes pages to create a book for Mother’s Day, Father’s Day or for “Someone Special”. It is extremely versatile for students with different family dynamics. 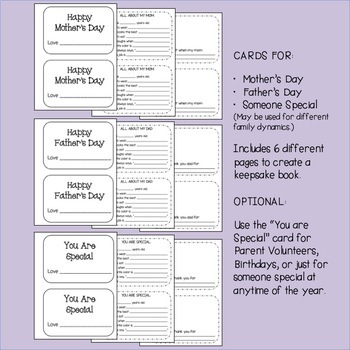 The someone special card could also be used for parent volunteers or special occasions throughout the year. 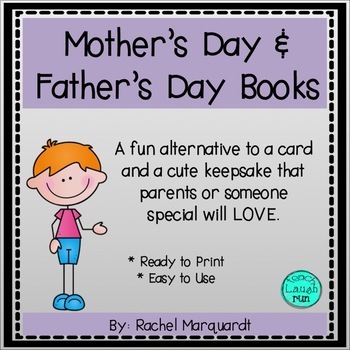 Each book is printed two to a page, making it super easy to print, copy, cut, and staple. The pages allow students to complete sentence frames as well as draw pictures to match their writing.